Hello! It’s just us this month as Jenny has been foolish enough to go on holiday and leave me in charge for a day – so come on in; the world is our bucket of jellied eels. Urgh. 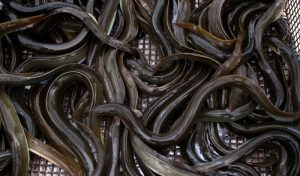 Talking about eels, I recently had a slightly bizarre conversation with someone who told me that eels really mess up fishing tackle if they are caught on a rod and line – their slime gloops all over the place as they struggle to get free and it royally gums up the works. With that unsavoury image lurking, let’s move on, shall we? July is the seventh month of the year (Wiki very helpfully qualifies this as falling between June and August for the benefit of any Martians who happen to be swotting up on earth months) in both the Julian and Gregorian calendars, and the fourth month to have thirty-one days. 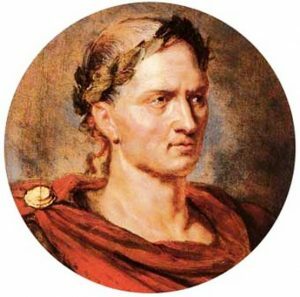 The Roman Senate renamed Quintilis as July in honour of their general, Gaius Julius Caesar, it being his birth month. I wonder if that was before or after the unfortunate ‘Et tu, Brute?’ incident on the Ides of March, when JC should have worn his Kevlar toga? But all you really need to know is that the most important day in July falls on the thirteenth, when Jenny and I celebrate our birthdays. You forgot again, didn’t you? Tsk. This is on average the warmest month in most of the northern hemisphere (coldest in the south), kicking off the second half of the year after the longest day in June. ‘Dog Days’, or the hottest, most uncomfortable part of summer, begin early on when the hot, sultry weather starts – in theory, at least. 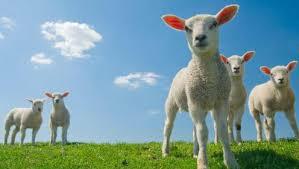 Spring lambs, born in late winter or early spring, are usually sold before July 1st. I mentioned the High Court a few lines back; last July – Friday 9th, I believe – #3 son and I went to the funeral of an old neighbour in Chiswick, a brilliant man called Dr John Anthony Roberts CBE QC DCL FCI.Arb, a High Court Judge, whose biography is quite fascinating. We met one Sunday morning when I was teaching #3 son (it’s always him, isn’t it?) 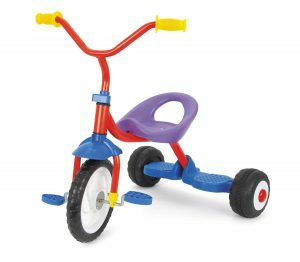 – aged about two – to ride his tricycle down the pavement of our quiet road, because the gardens were tiny and he kept riding into walls. I’m pleased to report his spatial awareness has improved with age and (to my knowledge) he’s never driven any of the flash cars he’s so fond of into a wall, or anything else. Unfortunately, that day the little chap got a bit carried away with his peddling and crashed into the wheel of Dr Roberts’ parked Rolls Royce, which he was cleaning – trees lining the road bore huge purple berries which the birds gobbled greedily, and when nature took its course, all the cars got covered with toxic purple poo, which was the devil to get off without destroying the paint job. No damage was done to the Roller *breathes huge sigh of relief and cancels remortgage application* and there began an unusual friendship between the two of them that lasted more than a quarter of a century. John’s great grandfather, Joseph Jenkins Roberts, was born in Norfolk, Virginia, and became the first President of Liberia. His grandfather, John Anthony Roberts (Snr. ), born in Liberia, was a cable engineer who worked in Brazil, America and England, between 1891 and 1892. 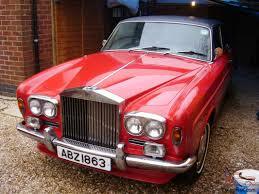 John was born in Sierra Leone in May 1928 to John Anthony Roberts (Jnr. – this is starting to get confusing)), a Brazilian – his mother (whose name I can’t find) was born in Sierra Leone, a descendant of liberated Africans who chose to return after the Slave Trade was abolished. That’s some heritage. He came to the law relatively late – he was a civil servant in Sierra Leone before coming to the UK to join the RAF, where he qualified as an accountant before joining aircrew, and then returned to Sierra Leone to work in Air Traffic Control (at the invitation of the PM!) Back to the UK with a wife (Eulette, a midwife at Queen Charlotte’s Hospital, where #3 was born) and son (Anthony John Roberts, thank goodness!) in tow. It was while he was again working as a Civil Servant here between 1964 and 1969 that he studied law part-time and got his degree. But if you want to practice as a barrister you need to join Chambers as a pupil for a year as general dogsbody earning a pittance to earn your wig, so to speak. After an unsuccessful search for a place, he was told he stood no chance whatsoever, because he was a) black and b) almost twice as old as the average pupil – so what did he do when he hit one of #3’s brick walls? He set up his own Chambers and over the years took on barristers and pupils of all colours and creeds. Oh, and women, who at that time would have found it even harder to gain a place than an older black man. #3 did his work experience at those Chambers as a mini-Pupil and rather liked the life – especially when two of the younger barristers took him to the West Country for a day trip in an E-type Jag to collect some court papers. Have they never heard of the post or couriers? In the end, he didn’t read law, even though he had a place waiting for him post degree in Chambers. His choice and he now leads a rather enviable life flying around the world. The first known person of African ancestry to be the Head of his Chambers in England and Wales. 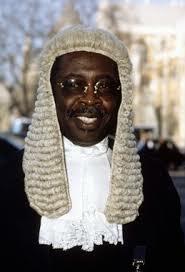 The first person of African ancestry to be made a QC in England and Wales. The first person of African ancestry to be made a Recorder of the Crown Court in England and Wales. The first person of African ancestry to be appointed by the British Government to dependent territories as a High Court Judge of the Supreme Courts of the British Virgin Islands, and Anguilla, British West Indies. The first Head of Chambers to accept seven female barristers at one time in 1975. A record during that era. Phew! Lovely man with a huge personality and a huge laugh. This was as far as I got with Jenny’s July blog before my father died unexpectedly. Normal service will be resumed in August. Allegedly.